In the spirit of the Star Wars fandom, this review will not contain any major spoilers or plot points for Rogue One: A Star Wars Story. Because there are a lot of beautiful twists and turns in Rogue One and, frankly, you’ll absolutely want to enjoy them to their fullest. But, if you want to go into Rogue One totally, 100% blind, be sure to bookmark this page for later. We’re certainly not envious of Gareth Edwards. Because we can’t think of anything more challenging than setting the Star Wars franchise out in a whole new direction while remaining faithful to the fandom. However, Edwards (whose previous credits include Godzilla and Monsters) certainly came out swinging with Rogue One. And Rogue One packs a serious punch with a lot of heart. However, this is not the ~traditional~ Star Wars film of our childhoods. Yes, there are MANY wonderful nods to the legacy Star Wars saga films (Episodes I-VII) – including a few awesomely unexpected cameos – but this is certainly a different KIND of film. On the one hand, the cinematography and production design are as beautiful (if not more) as franchise reviver The Force Awakens. But, on the other, Rogue One’s story takes a slightly darker turn. Although, WE KNOW, how do you get darker than (**spoiler if you haven’t seen The Force Awakens**) killing Han Solo?! "It is a period of civil war. Rebel spaceships, striking from a hidden base, have won their first victory against the evil Galactic Empire. During the battle, Rebel spies managed to steal secret plans to the Empire’s ultimate weapon, the DEATH STAR, an armored space station with enough power to destroy an entire planet..."
…and you know the rest. "I think we’d be doing the concept of the movie a disservice if we didn’t suggest that getting the Death Star plans was an easy thing to do." And we have to agree with that. But, don’t worry, it’s not just action shot after action shot. Although, BOY, do those dogfights look gooooood. There are still plenty of familiar heartfelt and LOL moments – many of them courtesy of, who else? A droid. Also, for über-Star Wars fans, you’ll find even the smallest production design details in Rogue One to be an absolute feast for the eyes. Without saying too much, for our money, Rogue One probably has the best ending of any Star Wars film ever, too. We know, that’s actually saying A LOT. But, your heart will beat a million miles a minute during the third act. So, get READY. Yes, Rogue One is a different ~kind~ of Star Wars film, but honestly? That’s not a bad thing. 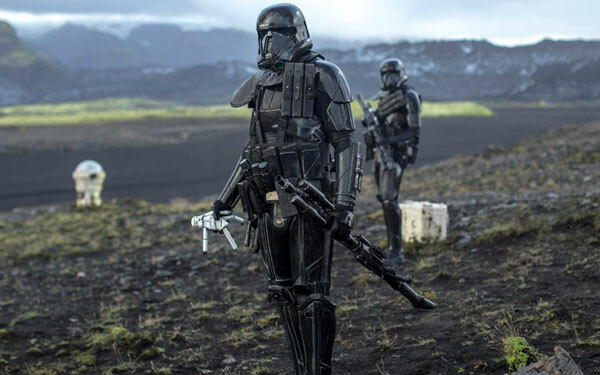 Because, while we’re slowly entering uncharted territory for the Star Wars film franchise, there are still many nostalgic elements in Rogue One you will absolutely love. And that gives us a strong sense of hope for the future stand-alone films. 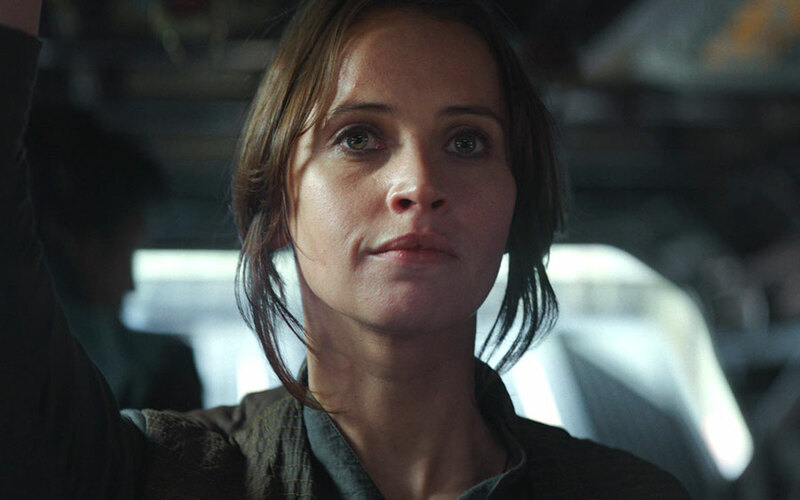 And, as Jyn Erso might say, Rebellions fandoms are built on hope. Rogue One: A Star Wars Story hits theaters this Friday, December 16th.